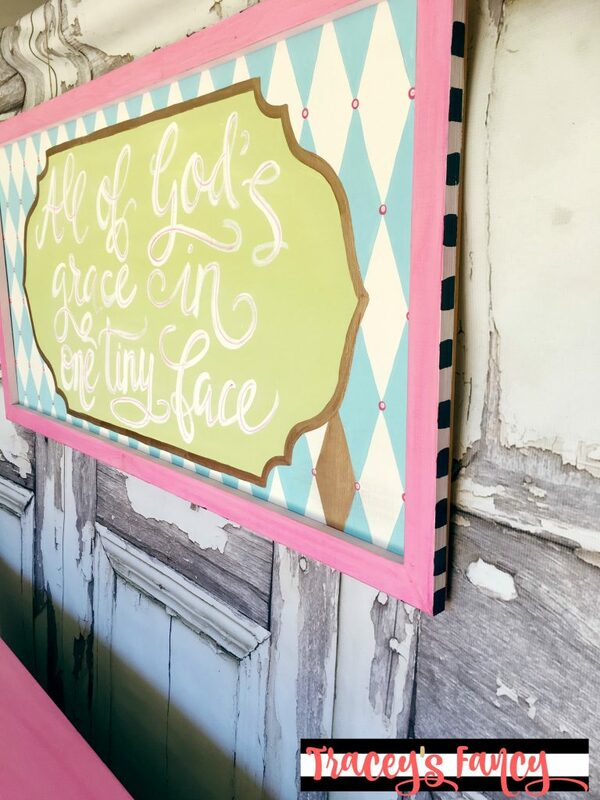 I was given a small swatch of fabric from which I chose the paint colors for this project. 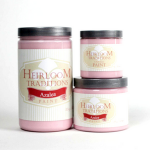 All paint brands and colors are listed listed at the end of this post for you. 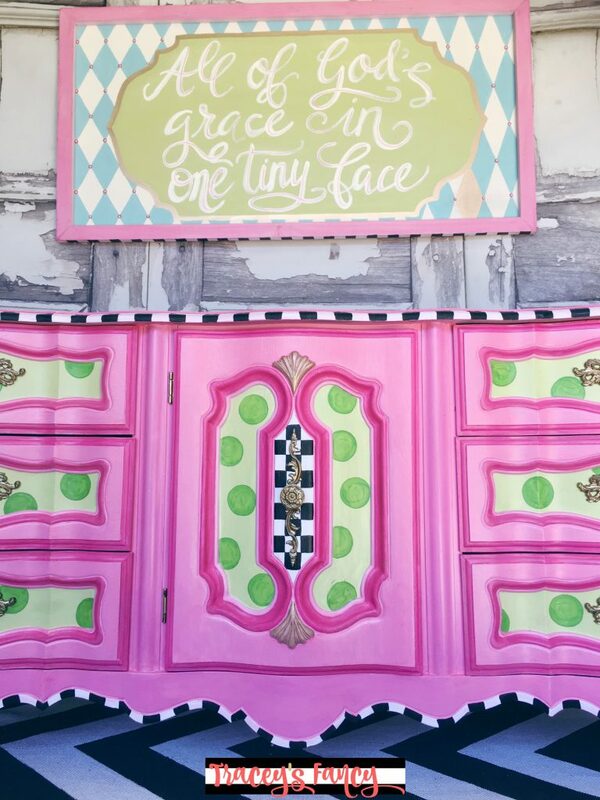 I chose to design the center cabinet door first…. Polka dots (which I will NEVER outgrow) and checkerboard! I was so happy with it……. I had to photograph it before I could even move on! Ok….not sure what happened with the color in this photo below…its WAAAYYYY off! Now let’s get back to the right color….’cause this pic is reeaallllyyyy bothering me! Much better….THIS is the right color! 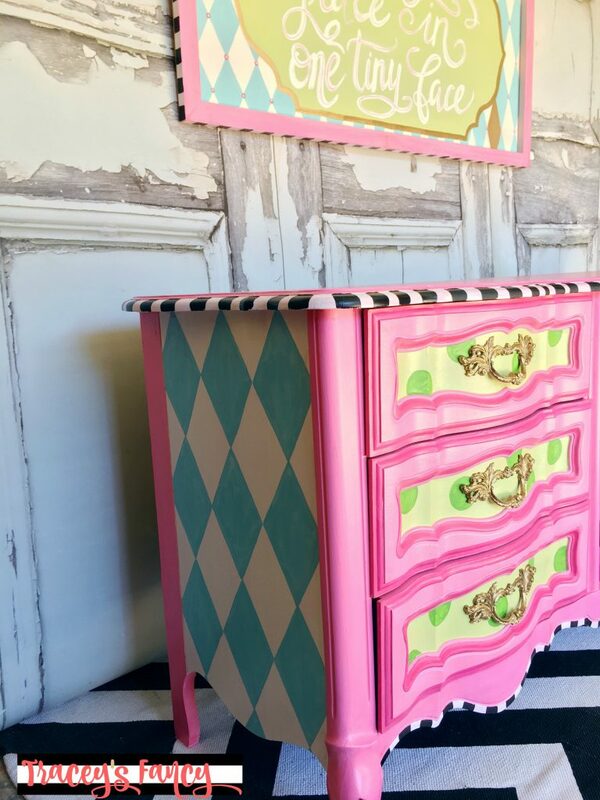 And there it is….the harlequin….couldn’t do whimsy without it! I have a video showing exactly how I paint this pattern here. And do you see what I did there?? I added the black and white trim to the outer edge of the sign…to tie the two together even more! 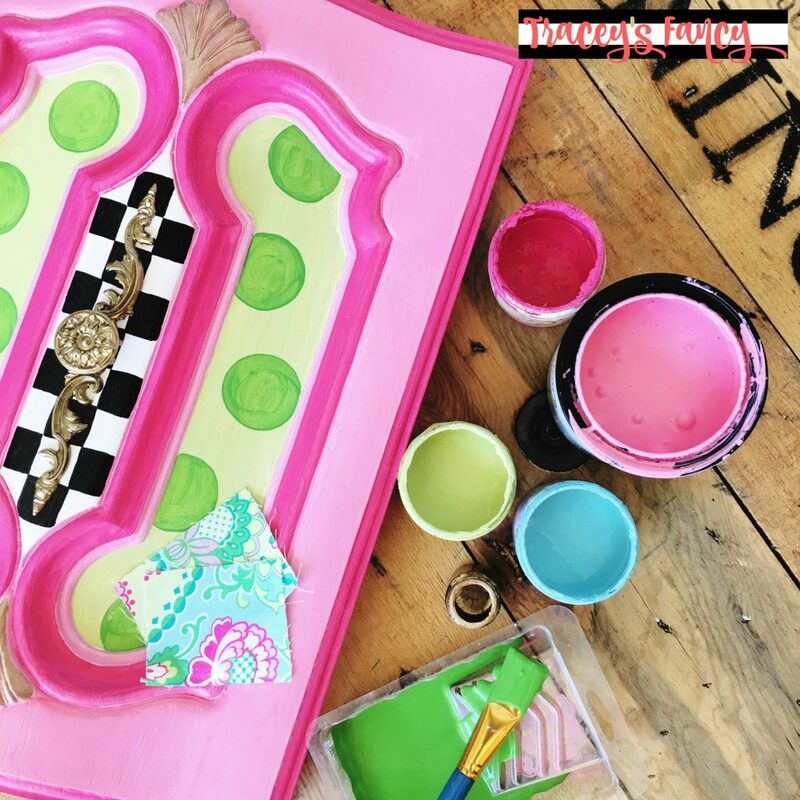 I wanted a “wash” or glazed look for this pink….so I chose to use a light pink Aurora Staining Gel OVER the Azalea pink paint. The staining gels are amazing. 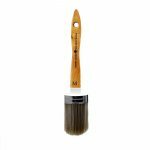 I use them often not only as stain…but as paint, glaze and sealer! 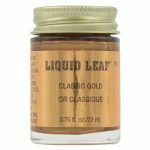 They are self-sealing and do not require a top coat. 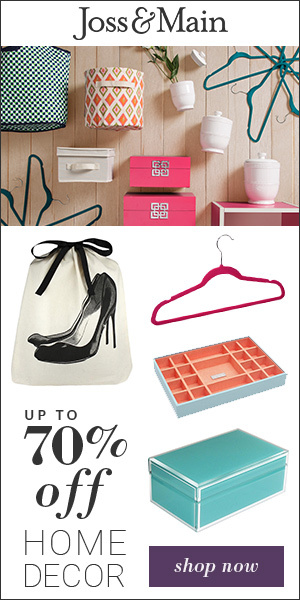 They are semi-opaque and offer a fabulous washed look. They also deepen and intensify paint color. 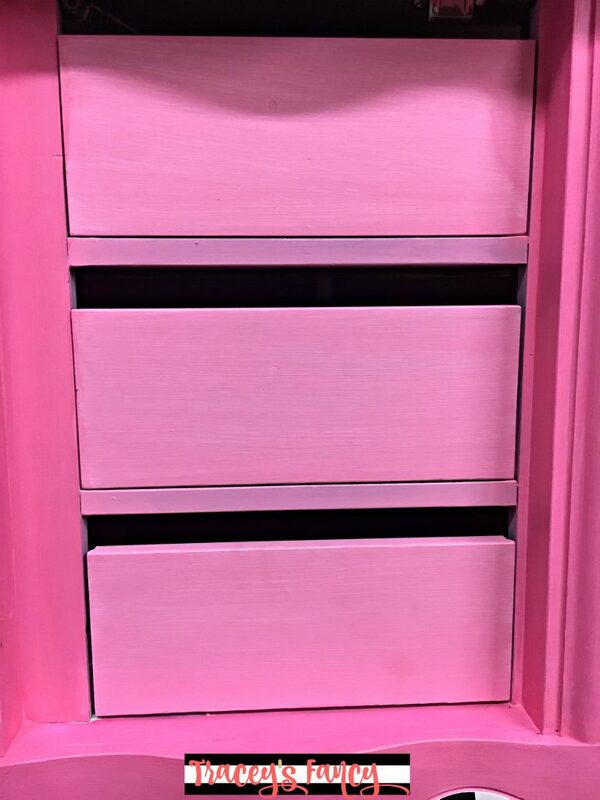 The picture below shows the three center drawers that are raw paint….and the darker pink around the drawers have been washed in the staining gel. It’s an instant change in color…..and super satisfying to me….’cause we all know I’m an instant gratification victim. 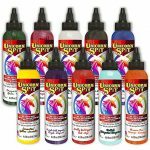 ** Update – Heirloom Traditions discontinued the staining gels, I can recommend Unicorn Spit to replace these. Here is a quick example of how easy it is to wash the stain on! 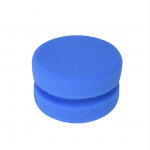 AND…you can see this super fabulous applicator sponge in action! 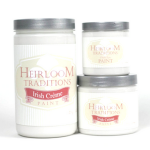 It is offered by Heirloom Traditions Paint…and it gives you a finish that is free of brush strokes! And while we are watching quick clip videos…here is an example of me painting a polka dot. LOL! Don’t laugh! I have people ask!!!! 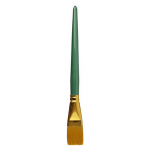 I ALWAYS use an angled brush in lettering AND designs…this is KEY….trust me! And if you look closely at the finished polka-dots you will see that I left them sort of sheer…..only one coat. I felt this was fitting with the overall washed look of the piece. 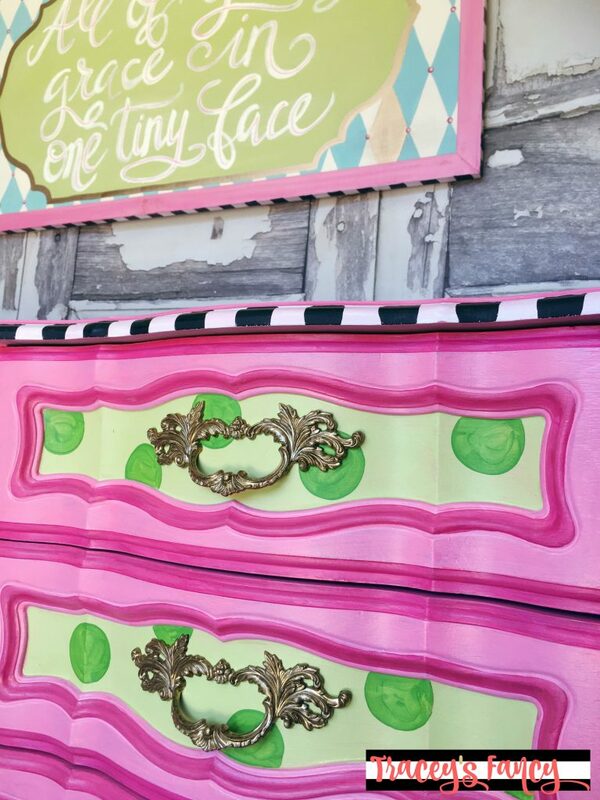 I’m really pleased with my playful polka-dot dresser and wall art! 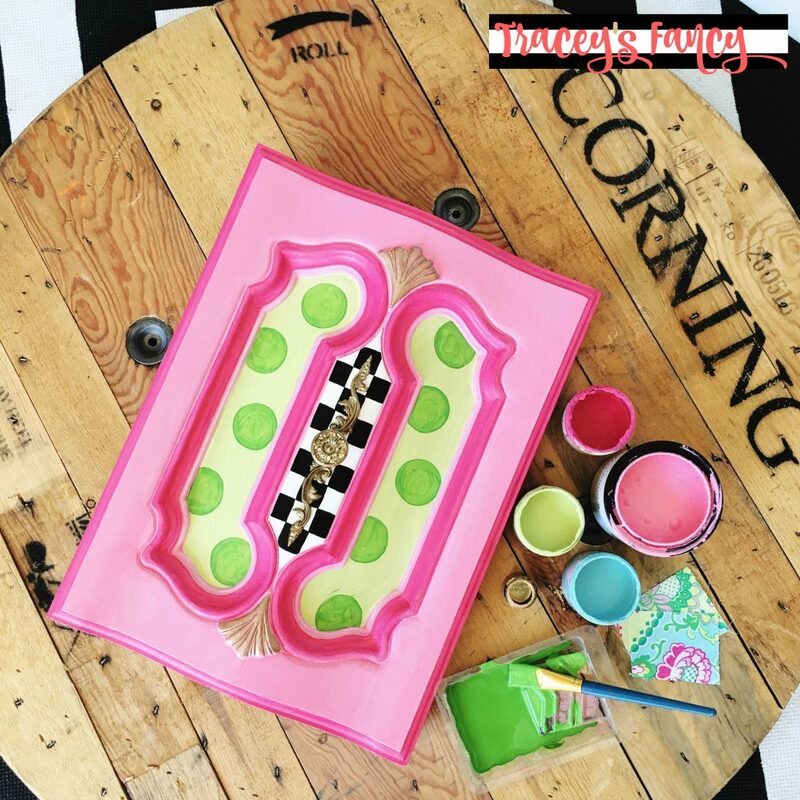 I hope baby Brielle enjoys these bright and happy pieces in her room. 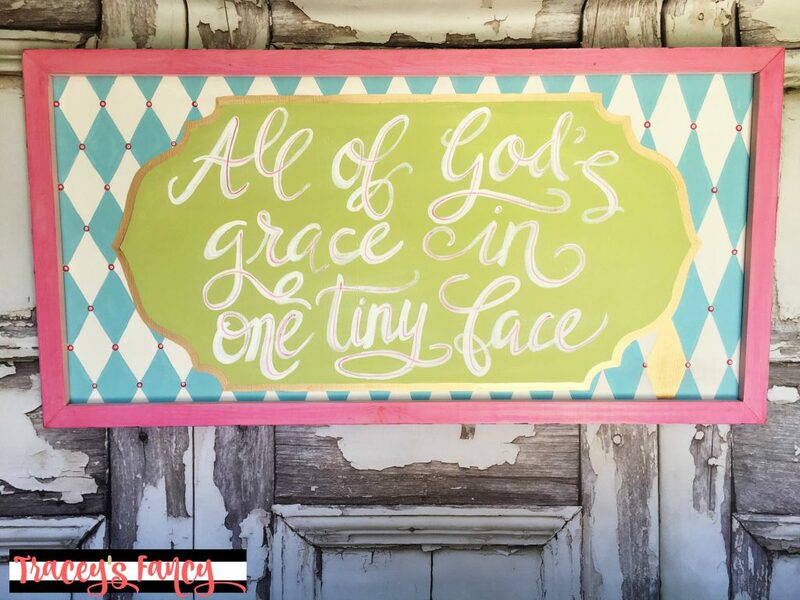 I continue to feel blessed EVERY SINGLE DAY for the opportunity to be involved with the room design for these little precious babies who God has gifted to these families! Thank you…..thank you to all that have put their trust in me….to bring forth ideas and visions for the newborn sanctuaries. It is an honor that I do not take lightly. And I hold close to my heart each family that I have worked with. 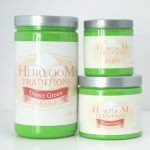 I also used these other paint colors from Heirloom Traditions, which you can buy from Amazon, along with a few extra of my favorites! You can see my Amazon influencer list here. 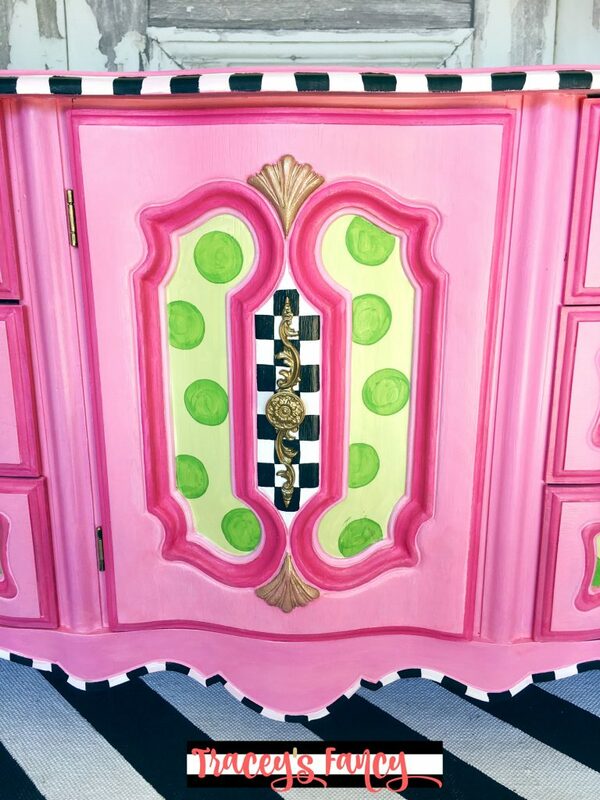 For my Pinterest junkies…..please pin my painted polka dot dresser and follow me on Pinterest!